War has always been a mystery for me. Even as a kid I could never understand why and how human beings could hurt and kill each other. It didn’t make sense. I was and still am pretty sensitive, and the idea of physically damaging another human being was beyond my understanding. Well.. I still am dismayed at this way of regulating our world, but I see how it happens. I also am aware of the effect it has on those remaining. My mother grew up in London during World War II, as did a couple of my friends’ mothers. My Grandad worked on the barrage balloons, my Grandmother drove ambulance, and my Great-Grandmother ran a cafe in East London. We don’t talk about that time a lot, but earlier this year I took a trip to the UK and visited an area where my Mom was evacuated once (she had a few evacuation stories) – Newquay, Cornwall, in the south. Driving into the town, I immediately felt an unexpected emotional reaction. My mother’s story was suddenly more real. The hotel where she had been put was high up above a beautiful beach. I remembered my mother expressing her frustration of wanting to go outside in the bright summer evenings, but they had to stay indoors to be safe. I perched at the window in a room from where she also most likely stared out, and imagined what it would have been like to be suddenly thrust into a big family of strangers and other children, away from home. I felt quite teary for that little girl. When I returned to Canada, I picked up the book “Nell’s War” by Ben Wicks, which I devoured, learning about life in war torn London. I seemed hungry to understand what my relatives had experienced. Especially my mother. Her Great-Grandmother was a strong force, and refused to go back to the underground during blitzes as she didn’t like the smells nor the atmosphere. She took her chances with my mom, and hunkered under the stairs. Whew… It is sheer luck that they survived. 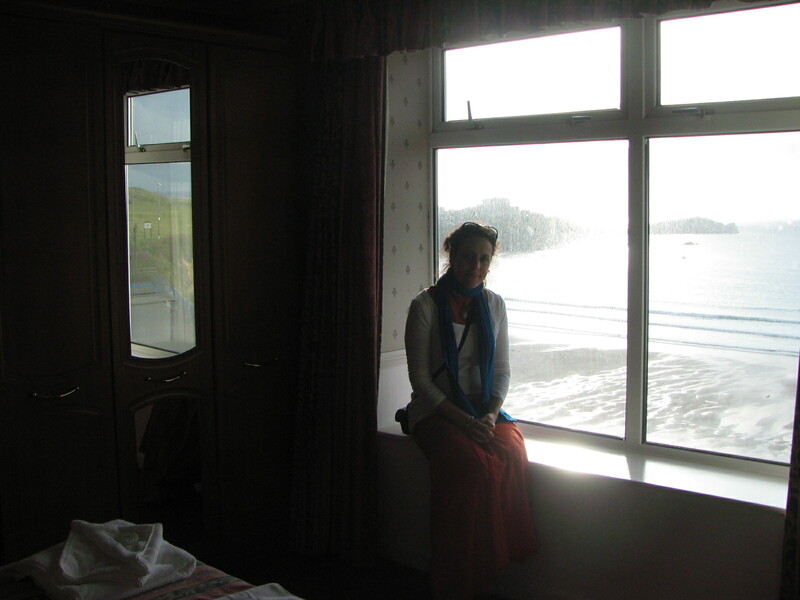 My trip to the UK made me comprehend some of my mother’s ways, and how war-time affected her family, and how some of that has even drifted into my life. (Mom sometimes used to jokingly ask me if I had my gas-mask before I left the house!) War doesn’t just teach one generation. It trains a few. Unwittingly. On this Remembrance Day, 2012, I will choose to remember my own family, and also the strength that has been passed down to me. And, to never give up. 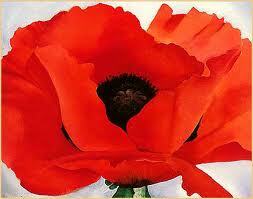 What will your Remembrance Day be like? 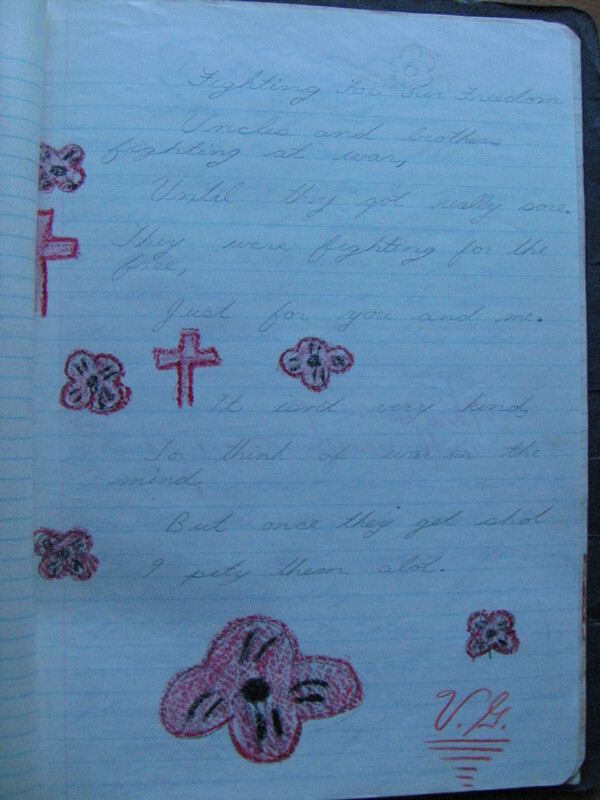 Here is a poem I wrote as a child, a child oblivious to what her mother and grandparents had endured. until they got really sore. to think of war in the mind. I pity them a lot.